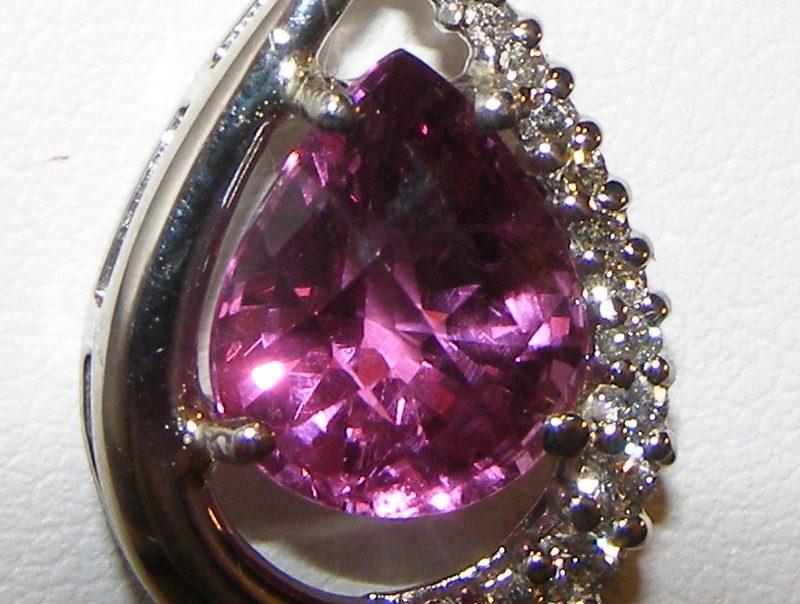 This is an extraordinary rhodolite. 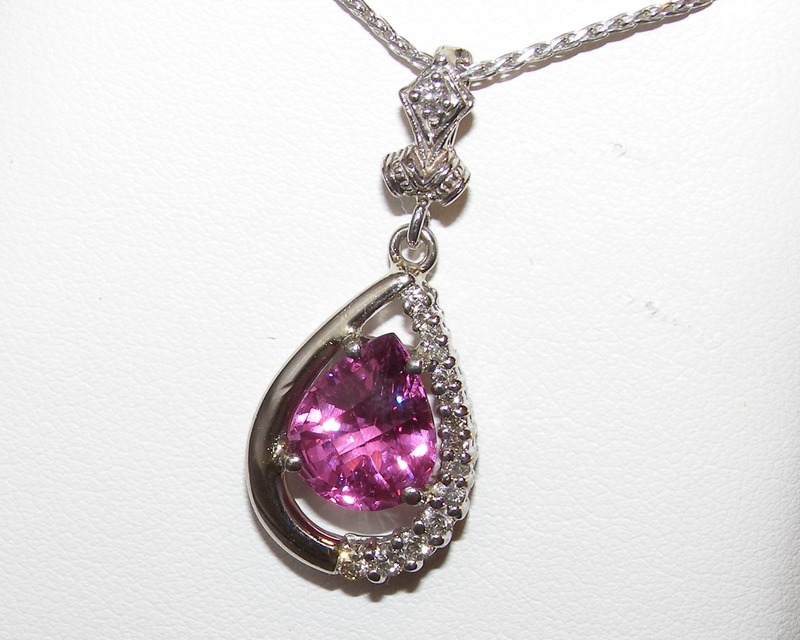 It has superior quality and sports a dynamic brilliant pear cut with table checker-board faceting. 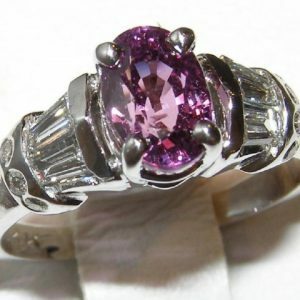 The large rhodolite measures 11.3 X 9.2 X 7.0 mm, weighs 4.78 carats, is eye-clean with dealer rated VS2 clarity and its color is a very strong raspberry. 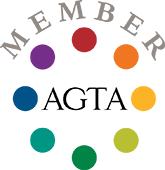 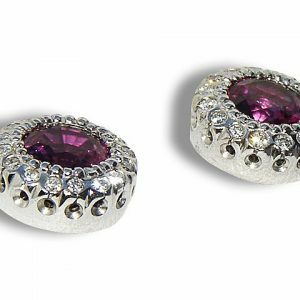 Expert cutting joins the stone’s high quality richly saturated color and produces colorful brilliance abundant with pink, red and purple flashes. 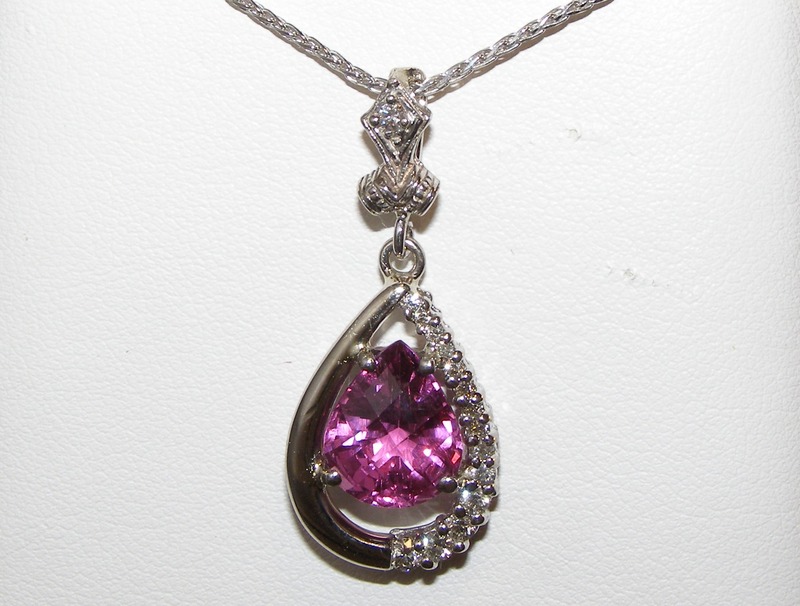 The rhodolite is surrounded by a pear shaped gold frame with pave round brilliant diamonds on one side. 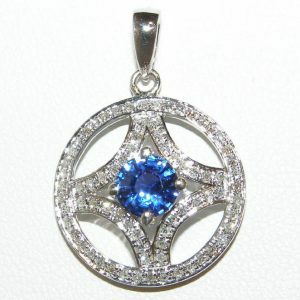 A beautiful art deco inspired piece the pendant has an elegant bail with milgrain edges and a pave set diamond. 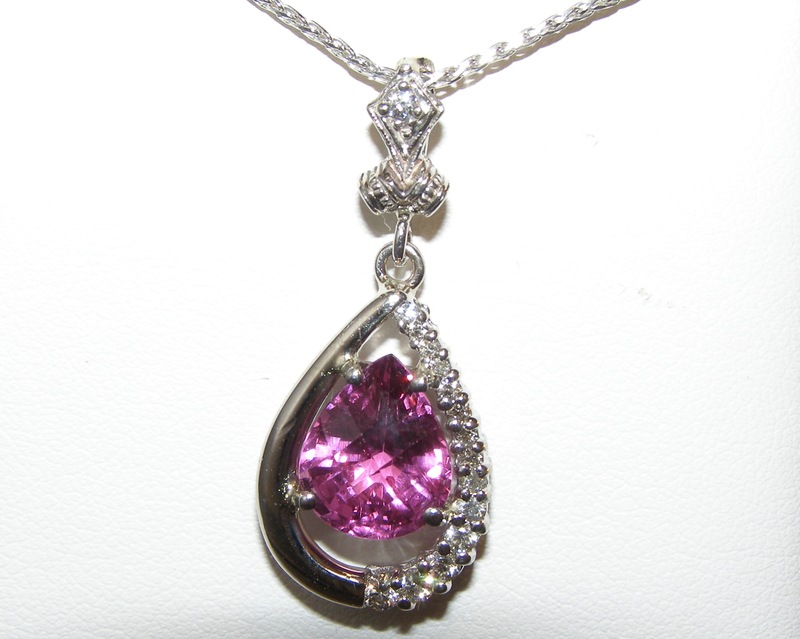 In total there is 0.35 carats total weight in diamonds that are SI2 GH quality. 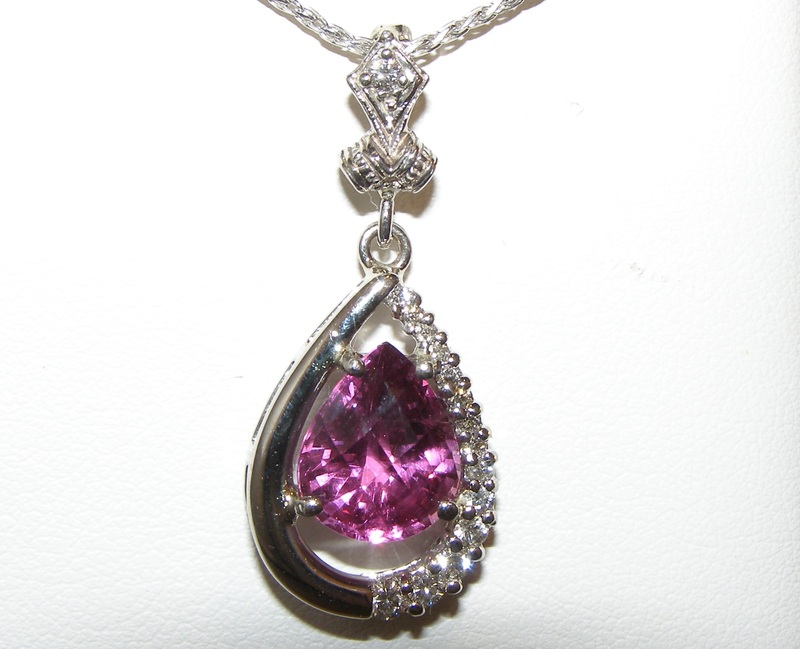 The pendant measures 33.80 X 14.40 mm or 11/3 X 1/2″.